The shell is made of hard polyurethane foam with fiber glass re-enforcement along the edges. The seat cushion for both the chair and the foot stool is made of molded polyurethane foam to achieve the right form and comfort. 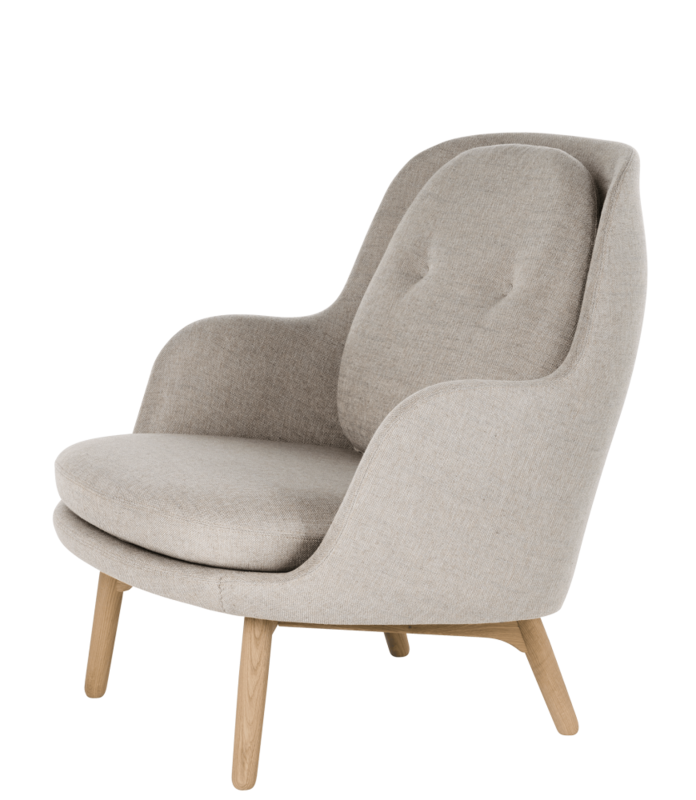 The back cushion on the chair is made of two slices of soft foam to increase ergonomics and comfortability and comes fully upholstered in fabric or leather. The base comes with four legs made of brushed aluminium. Each leg has nylon glides suitable for a majority of floors. A foot stool that matches the chair. Fritz Hansen is an exclusive, international design brand whose timeless collection unites world-famous classic and contemporary furniture, lightning and accessories.